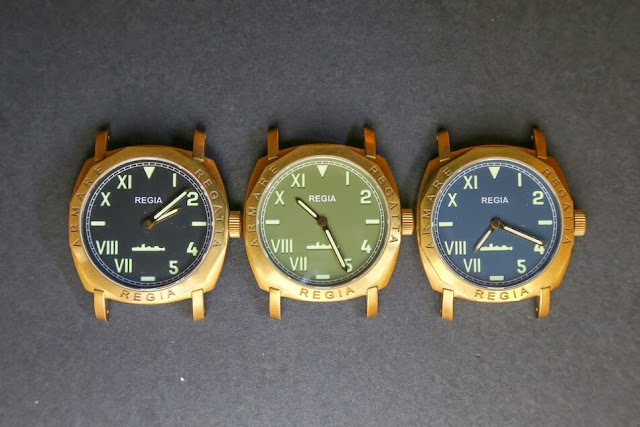 Regia Timepieces is a new micro brand from Singapore. 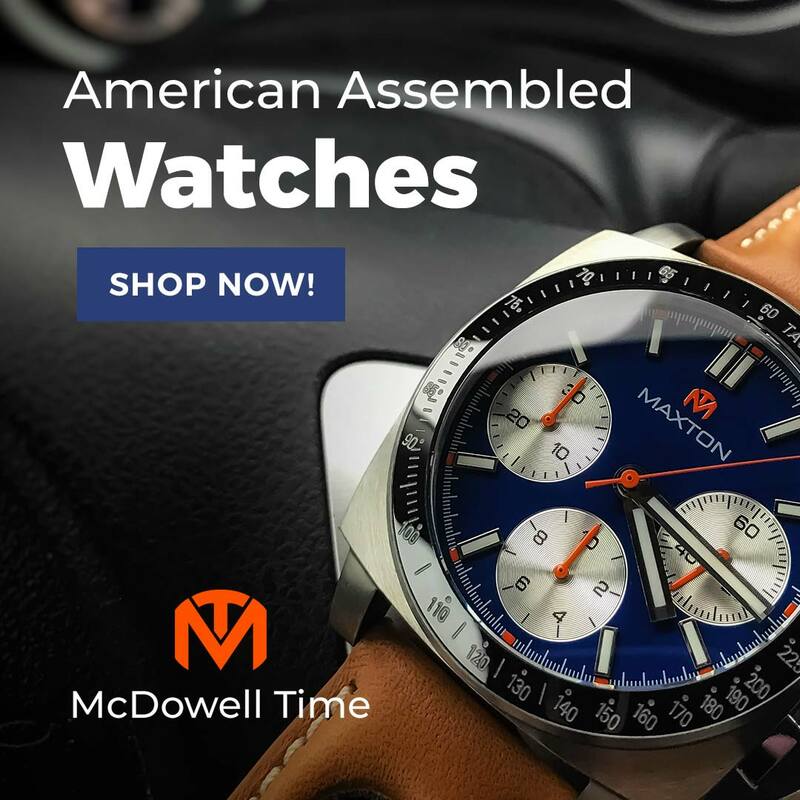 They are owned by AluMetal and operated by one of the company's directors, who also happens to be a watch enthusiast and author of the Seikoparts blog. Regia's first model is the Armare Regatta, a large, brass case automatic in the vintage "Italian diver" style. As you might expect from a Seiko aficionado, the movement is an NH35. 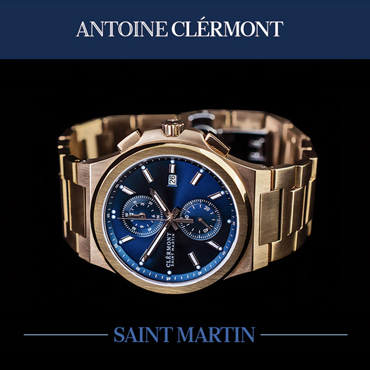 This 24 jewel, 21.6k bph automatic hacks, hand winds and has a power reserve of over 40 hours. 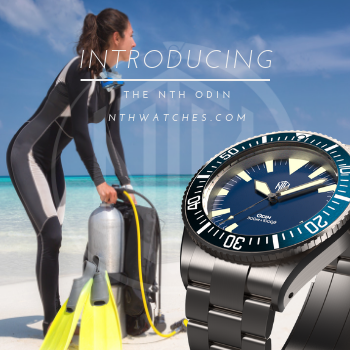 You will recognize elements of Panerai in the Amare Regatta, but it is not a straight homage. The design was inspired by the ref. 3646 prototype. It has a cushion-shaped case with rounded sides and thick, straight lugs. It's most distinctive, and likely divisive, feature is the fixed, 12-sided bezel bearing its name. This is a large watch; 44mm wide and 54mm long, but only 13mm thick from the display case back to the sapphire crystal. It has big (7.3mm) double sealed screw down crown and is rated for 100 meters water resistance. Two dials are offered. Both are sandwich style, the numbers and submarine logo cut through to reveal a luminous layer below. The first has Arabic numbers at 12, 3, 6, and 9 and a perforated index; and a modified California style that has Roman numerals only on the left side, and a white railroad index. The off-beat California dial is unique. The long VII and VIII look a bit off-balance against the short 4, and 5 on the other side, but it stands apart from the rest of the PAM-inspired crowd. The Arabic dial is more conservative but better balanced and the perforated index is a very nice touch. 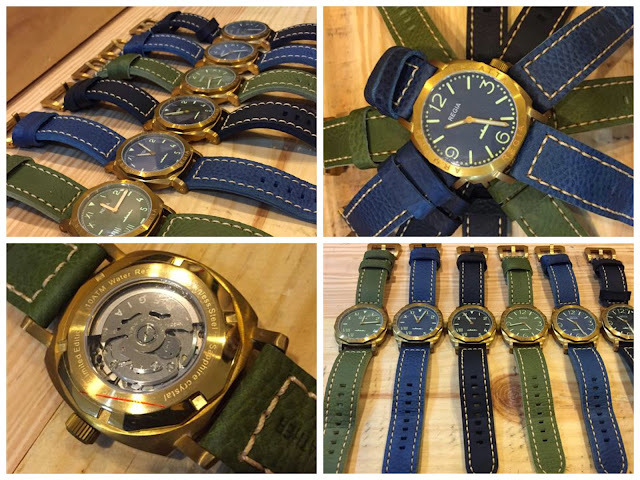 Buyers may choose either version in blue, green, or black on color coordinated leather straps. They are 5mm thick, straight cut, 24mm wide with contrasting box stitching, secured with signed brass buckles. 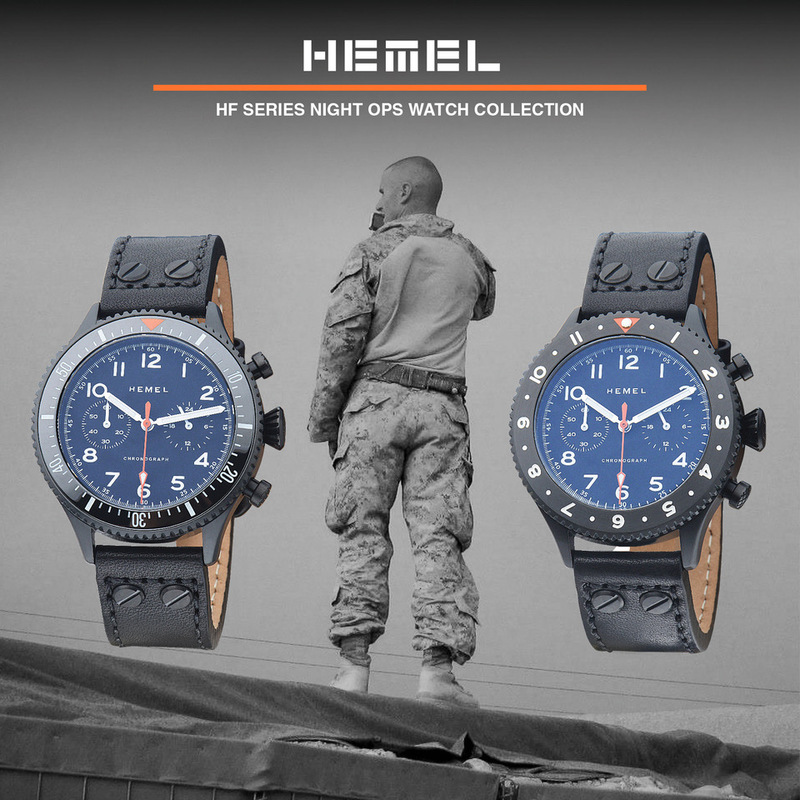 Only 100 of each version will be produced. 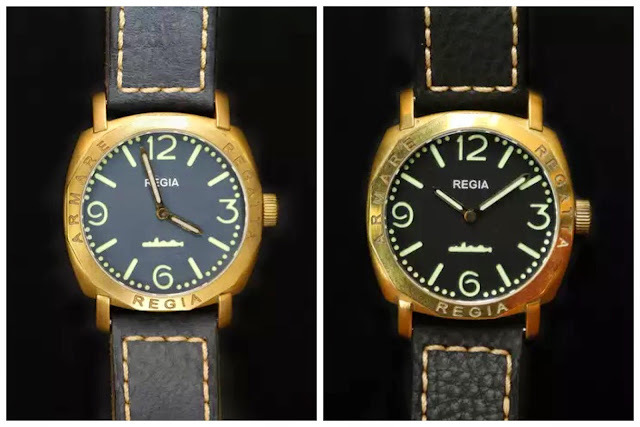 The Armare Regatta sells for $350 USD directly from Regia Timepieces.